Does anyone have any tips, such as places to eat, visit en route? Also the best guide book to get? We've always used Cicerone before but half of it is the route in reverse so am thinking of trying another this time. Would we really need an OS map if we have a guide book and a GPS? I can't comment on the LDW but I would always take a copy of an OS map with me on any long walk. I normally take a copy of the bit(s) I require rather than the full map. Useful to see the places a few miles to the side of the path or, whilst you never would, you get off route! Don't rely on GPS, mine stopped working with a few days to go doing Offa's Dyke this year but the map and compass were my friends to show me the way. Actually I prefer using map and compass as I get a bit lax navigating with the GPS in my pocket to tell me where I am. Whilst everyone is different I never train for my annual LDW, I just turn up and get going carrying what I will need. I "plod" along and if it is along day I just set off earlier! We walked it over 8 days staying in B&B's. We averaged 14-16 miles a day (apart from the last day) and took the longer route where there's a couple of alternatives. Some days we went slightly off route to look at places and the SatMap stayed on hence we walked a bit further. We opted not to take OS maps this time, but as well as the SatMap had a compass and the National Trail guidebook. To be honest it is so well marked you could almost do it without anything not that I ever would. We enjoyed it and it's probably a good starter walk for someone new to LDP's as you're never far from a village or road and obviously never that high up there. Having said that, when we were away from the tourist hotspots and villages we often went a long time without seeing any other people and there seemed to be very few people walking the Way. We only ever met one other couple and a man from NZ several times on the same days as us and they had also not met anyone else. Maybe we picked the right ~(or wrong!) week. Certainly the C2C is much more "crowded". The weather was great - unusual for us, 3rd time lucky I suppose. And there are great views from the escarpment towards the Malverns and into Wales - Brecon Beacons and Sugar Loaf. Although it was good ending in Bath we both said we would rather have walked the other way as the last few days were not as interesting as the first few (we used baggage transfer though). Unexpectedly we spent less on meals and even the B&B's than we did on the C2C, automatically assuming that it would be more expensive in the Cotswolds. Perhaps the C2C has a captive audience and there's more choice in the Cotswolds so it's easier to shop around. 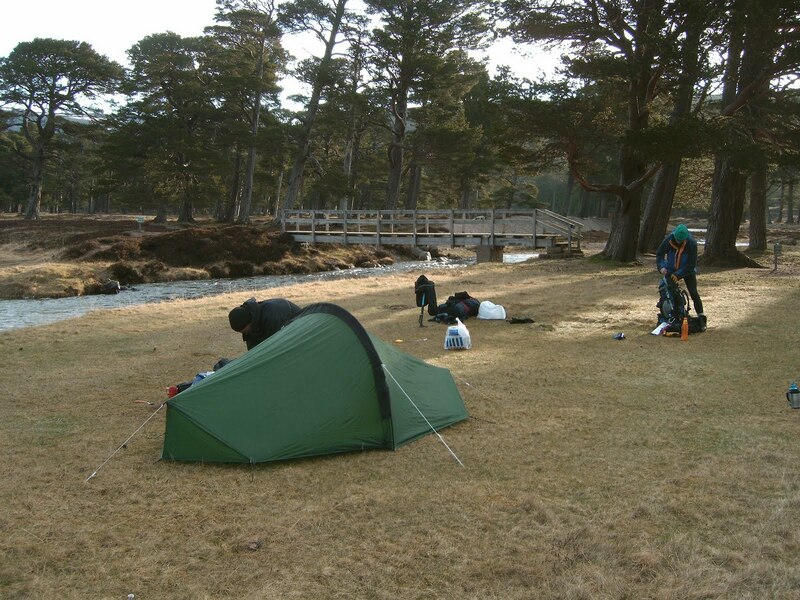 Next we fancy the West Highland Way - we only didn't do it this time because of lack of training time and we thought it would be better to do it in spring to avoid the midges! Glad you enjoyed your trip, it is another route that I would like to do. Ive got the guidebook so will probably give it a go one day. We lived in lower Quinton near Chipping Campden during my last year in the Army, many years ago, and had a week in the Cotswold last year. It hasn't changed much in over 30 years. Fast/Average/Slow whatever, you do it however you prefer and get out of it what you want, we are all different, thank goodness. Yes I agree we should all tackle things at our own speed. The Cotswold Way was the right walk for us to do at that time. We wanted to be able to complete it and had hardly done any training, in fact I think I was more worried that we hadn't done enough training for it than I was for the C2C. Any hillwalking is a challenge for us! BTW I still adhere to your advice about taping hotspots on the feet and I haven't had a blister since! My problem this time was the "hikers" rash I get - only when it's hot though, so at least if the weather's poor I know I won't get the rash! I've tried everything, think I just have to put up with it. Generated in 0.141 seconds in which 0.080 seconds were spent on a total of 14 queries. Zlib compression enabled.